You must be in good health for donating blood and good health means you have no fever and feeling well on the day of donation. You must have a good meal al least 3-4 hours of donation. Check your body temperature before donation. If you have a body temperature 100 degrees Fahrenheit, you must wait for overcome until fever is no more. . Final eligibility is determined by medical professionals at the time of donation. Everyone can donate blood but there are some donor eligibility criteria which may very for some countries or blood centers. But general criteria remain the same for everyone. You should be 17-65 years old with good health. Your weight should be at least 50kg or 110 pounds. 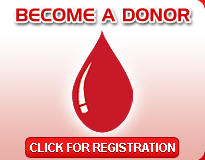 You may donate blood after every 8 weeks or 56 days. The donor should avoid smoking on the day of donation and 3 hours after donation. In case of any infection like cold, flu, sore throat, lung infection and fever you can’t donate blood, please wait until you are feeling better. You may donate blood even if you have allergies or are a diabetic on insulin. Diabetes can give blood if disease is well controlled. You cannot donate in Pregnancy; you must wait for at least six weeks after delivery. Similarly in case of any sugary with infections and receiving any blood product, you should wait for recovery or healing. But you may donate after a surgery with no sign of infection or without receiving any of blood products. You must wait for 12 months if you infected during the surgery or have received blood from another person. If you are taking aspirin or other medicines, you can give blood. Bust must wait for 36 hours to donate blood platelets. Donors take medicine to control blood pressure can donate blood by their blood pressure reading on the day of donation. You may not donate blood if you are infected by any type of hepatitis B and C.
In case of HIV you cannot donate blood. Every single blood donation is tested for HIV. A prostitute is not eligible to donate blood. Donating Blood is a safe process because donated blood is a message of life for blood seeker.